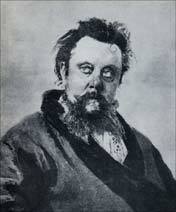 Cockerel Crowing Dawn - a one-actor play based on the life of the Russian composer Mussorgsky. It was specifically written for the actor Howard Frost, who gave its first performance at Bradford Playhouse in June 1996. Later that year it was repeated at the Hebden Bridge Festival. Howard Frost, for whom the play was written, has now retired from acting. It is as yet unpublished. Anyone interested in a revival?